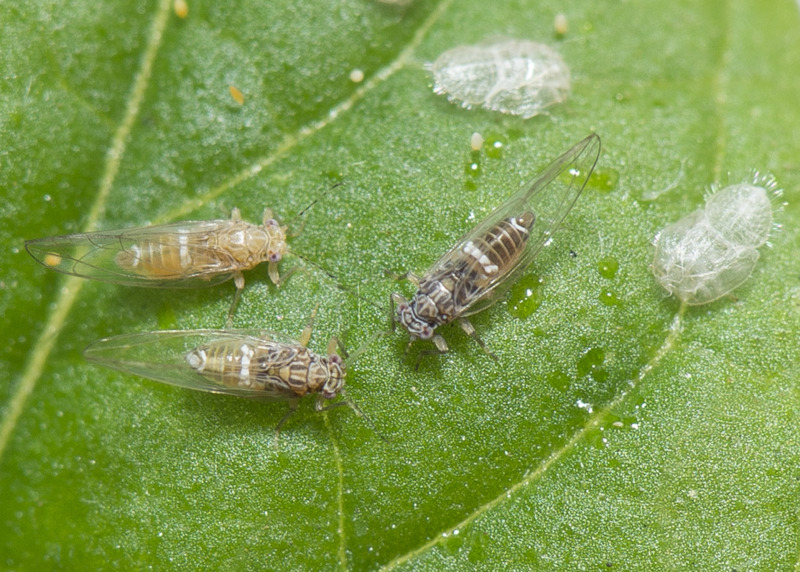 If you grow potato, tomato, capsicum, eggplant, chilli, tamarillo, goji berry or sweet potato plants in your garden, you can help combat the Tomato potato psyllid (TPP) by checking your plants for the tiny insect pest. Do I have TPP in my garden? Installing sticky traps in your garden is one way to determine whether you may have TPP in your garden. You can cover the sticky trap with a protective cage to prevent wildlife becoming attached. Photographs of TPP are available on the department’s MyPestGuide, or you can use the MyPestGuideReporter app to send in your photo for confirmation by one of our expert entomology team. See the video below on how to check your garden and use the app. How can I manage TPP in my garden? There are a number of approved chemicals and eco-friendly oils available to home gardeners to help control TPP. The control options have been approved by the Australian Pesticides and Veterinary Medicines Authority following assessment to ensure the safety of the user, public and environment, when used according to the label directions and state legislation. Check out the short video below which guides you through some simple steps to control TPP in your home garden. You can also read about these steps below. Note: if you live in regional WA, report suspect signs of TPP to the Department of Primary Industries and Regional Development before applying any control options. Inspect plants regularly so treatments can be applied to keep TPP numbers low. When applying a chemical control, concentrate on the underside of the leaves where most TPP adults and nymphs live. Follow label instructions and apply at the rate for insect pest control in fruiting and/or tuber vegetables. Good practice is to rotate chemical controls. Dispose of infested plants using the solarisation technique outlined below. Solarisation is a control technique which uses the sun's eneregy to combat pests such as TPP. Below is a step-by-step guide on how to solarise infested plants. We recommend to first apply an approved insecticide to infested plants from the approved treatment list. Place infested plants in double-layer heavy duty black garbage bags. Leave bags in direct sun for up to 14 days. Bags can then be disposed of in general rubbish. Do not dispose of plants in your organics or green waste bin. Check plants in your garden for signs of TPP. Check any plants purchased for signs of TPP. Comply with any movement restrictions of host plants from the Quarantine Area. Avoid moving home-grown plants off your property, even if you are not in a Quarantine Area. Apply treatments to control TPP. If you live in regional WA, report any suspect signs of TPP to the Department of Primary Industries and Regional Development immediately. Frequently Asked Questions are also available for further information about TPP and how it is being managed in Western Australia.